There are two sides to every coin. 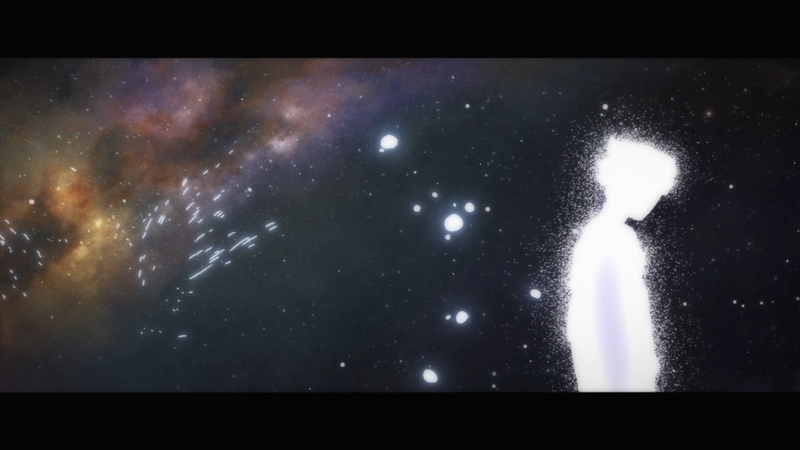 On the one hand, both the animation and the sound design are killing it. Mob’s battles against Keiji and the congregation of evil spirits are super hype. Can’t really object to much there. 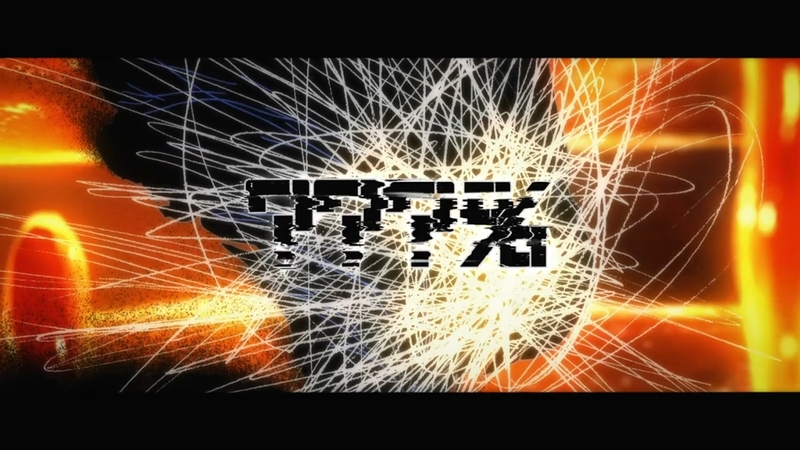 But on the other hand, the incessant narration is just killing it for me. 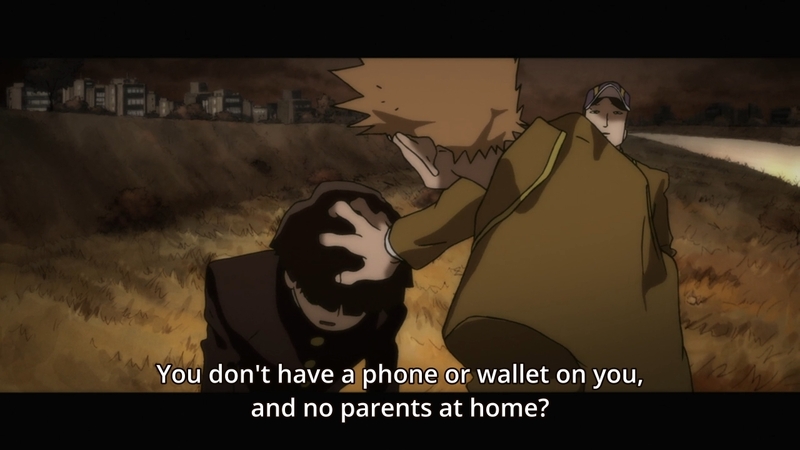 As a quick reminder, Keiji robbed Mob of not only his powers but his memories as well. Our hero is then forced to live out his “normal” life in a hypothetical world where he isn’t blessed with both psychic powers and friends. It doesn’t take long, however, for Keiji to inform the audience that, well, this is all just one big illusion to corrupt and break the kid’s spirit. I don’t see why he really needed tell us this. Not only are these scenes displayed in an even wider screen format, which is usually a huge indicator that we’re not in reality, couldn’t we have figured this out on our own? I just feel like this is yet another case where narration treats the audience as if it’s too stupid to follow along with a rather straightforward plot. 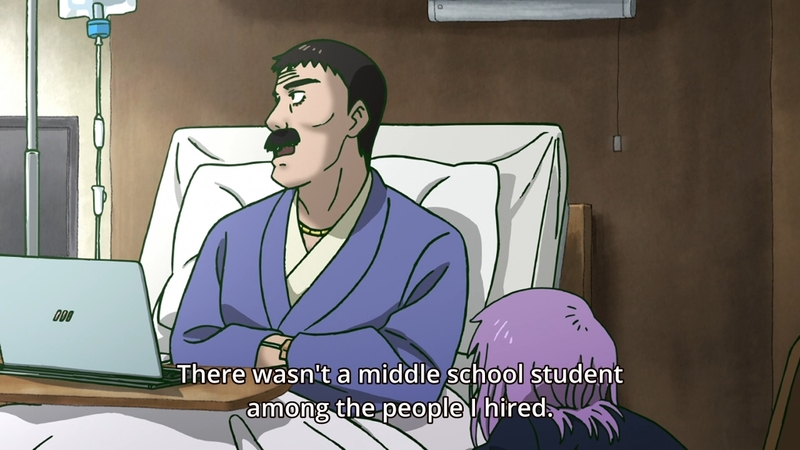 For instance, Minori also starts bullying Mob shortly after transferring to this school. 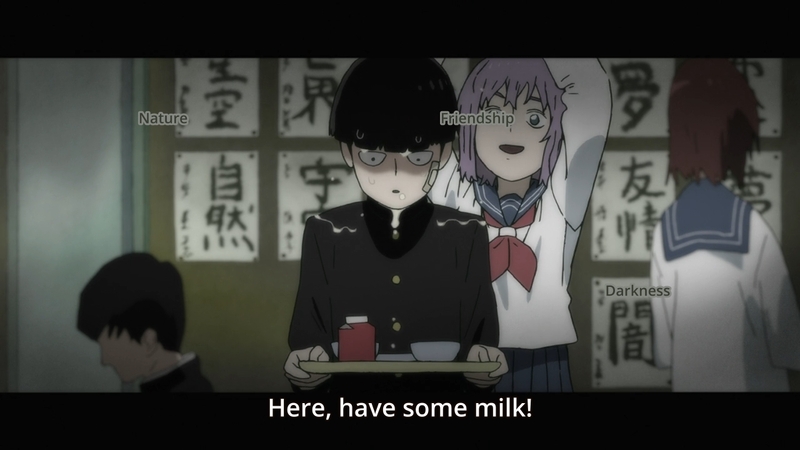 In case you somehow didn’t realize why bullies are bullies, we are then quickly informed by Keiji that she’s doing this “in order to secure her position in society.” Then when Mob finally snaps out of it (with Dimple and Arataka’s help) and starts fighting back against Keiji, a different narrator chimes in to let us know that our hero is now winning thanks to his positive emotions being at 100%. Again, this is something we could’ve figured out by just watching the episode and paying attention. Anyways, Keiji isn’t entirely wrong. The world is full of selfish manipulators, and maybe if there was not a single positive to be found in Mob’s life, he would also break bad. But that’s not reality. Our hero’s reality is that even someone like him can change, so why can’t everyone else? Why can’t someone as cruel as Minori also grow and become more compassionate? 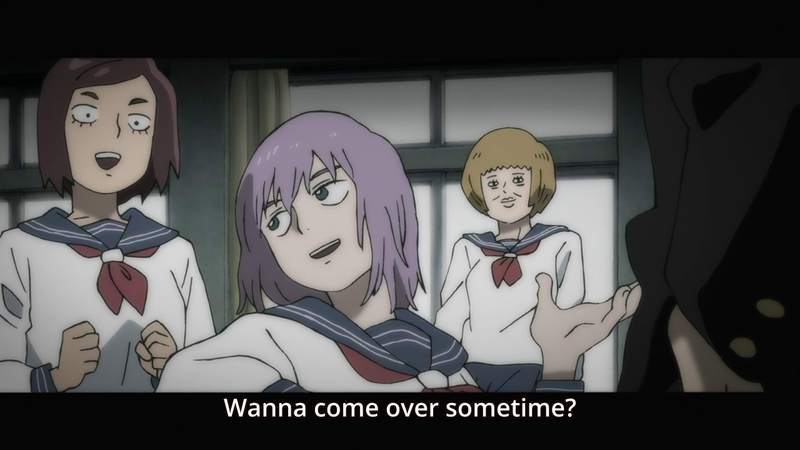 Furthermore, Mob isn’t alone, because it’s clear that both Arataka and Dimple care about him. They obviously still need him for their own devices, but again, this just goes back to the idea that there are two sides to every coin. And when we keep that in mind, it becomes painfully clear that Keiji only has himself to blame. We get some additional backstory on the guy in this week’s episode, so we learn that his mother eventually came back as an evil spirit and blamed him for her death. Remember how she had fallen extremely ill at one point, so Keiji started taking on shady jobs in order to scrape together enough money for her treatment? Ultimately, his actions attracted evil to him, and said evil supposedly killed his mother. It isn’t clear to me, however, if she became initially ill for this same reason. Maybe she got sick in the first place because these things just happen. You can’t always be 100% healthy, and old people tend to have weaker immune systems. But in his desperation to save his mother, Keiji ended up making things worse by becoming an assassin. As we’ve learned time and time again, quick-fix solutions do not work. Keiji’s negative worldview is simply an incomplete one. It’s easier for him to write off everyone off, because this lessens his own guilt. He doesn’t have Mob’s courage, which is why our hero triumphs in the end. Keiji tries to turn Mob to the dark side by showing the kid what his life would be like without his powers. In the end, however, our hero realizes that he’s been extremely lucky, and as a result, he should actually be even more thankful for his life. 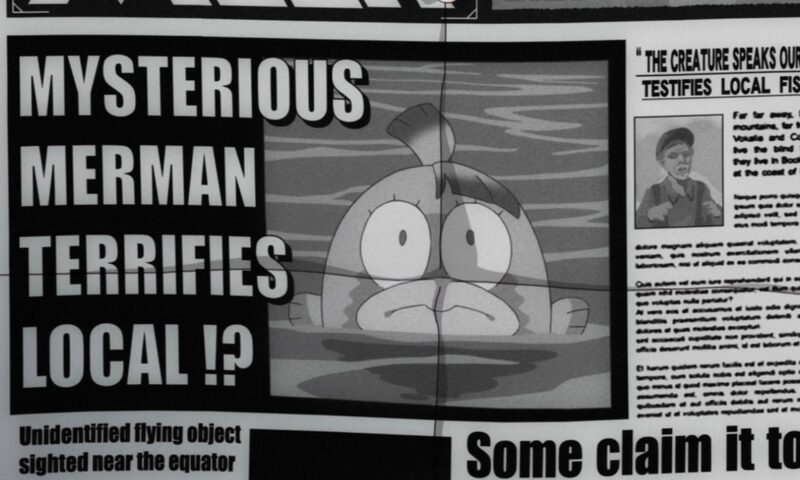 As a result, his emotions reach 100%, but they aren’t negative emotions. Not only is he fueled by his courage, his compassion allows him to perhaps keep fighting beyond his limits. Although it has only been half an hour in the real world, Mob apparently spent six months being mentally tortured by Keiji. He was bullied left and right by not only his classmates but even his own teacher. Of course, these individuals aren’t real… kinda. They are actually evil spirits under Keiji’s control. The only exception here is Minori, but she’s no different. She also spent the past six mental months bullying Mob. 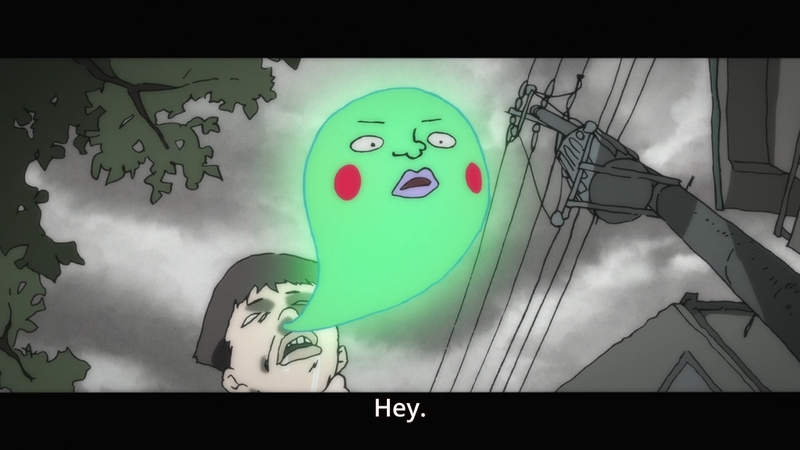 Nevertheless, when Dimple and Arataka reawaken our hero’s memories, he still fights to save her. After defeating Keiji, the evil spirits begin to run amok. 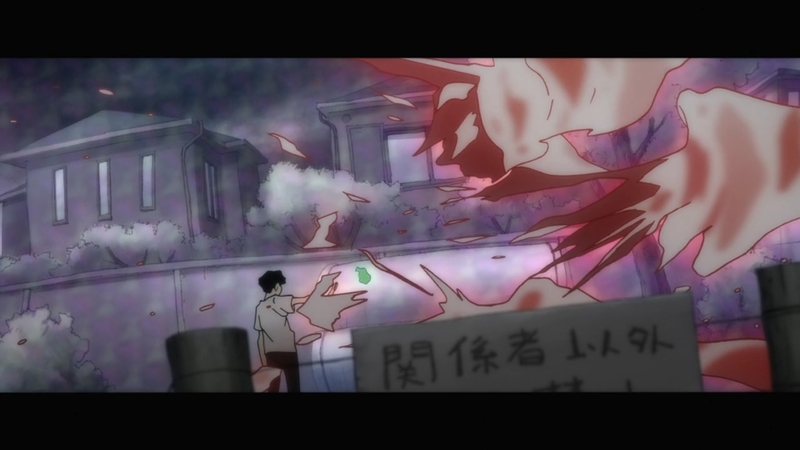 Mob could’ve just saved himself and abandoned Minori, but he stuck around to keep fighting. In the end, this results in his emotions reaching a rather enigmatic level, and his powers seemingly tear the mental world apart. We are left with nothing but an infinite expanse of space. I’m not exactly sure what this means other than that our hero prevailed. Maybe we’ll find out more about this later. Back in the real world, Minori wakes up and remembers everything that had transpired in Keiji’s hypothetical world. Even though it was all an illusion, she acknowledges that she was a mean-spirited bully in the past. 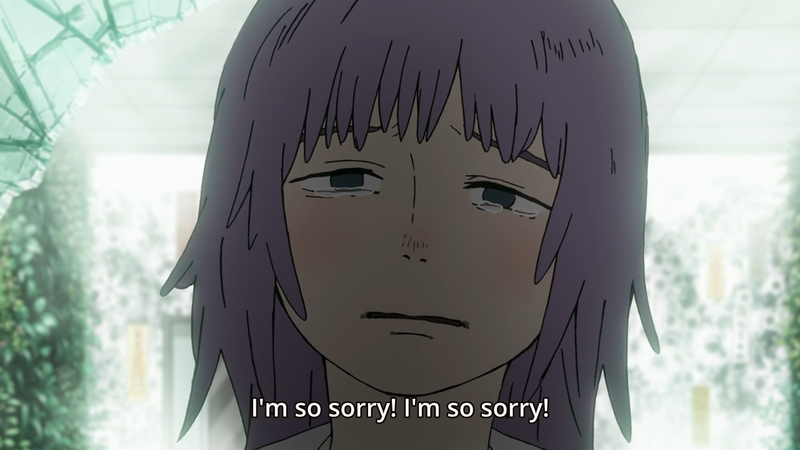 As a result, she breaks down and apologizes. So Mob is right in that people can change, but let’s also hope that this change is permanent. In the aftermath, we have a few loose ends to tie up. Keiji swears that he’ll continue observing Mob from afar, but he quickly gets captured by Matsuo. Maybe the evil former psychic will reemerge in the future, but we can set him aside for now. Out of sight, out of mind. 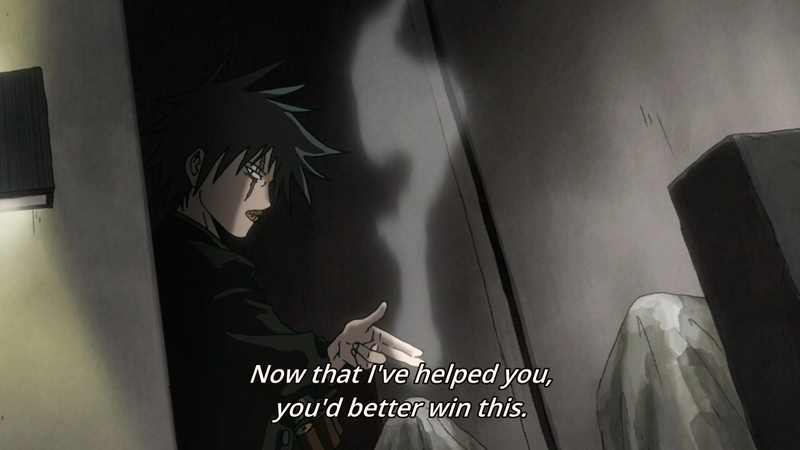 Speaking of which, Matsuo also helped save the day. Had he not given Dimple a push, the spirit wouldn’t have been able to breach Keiji’s defenses and thus enter Minori’s body. If he hadn’t entered Minori’s body, maybe Keiji would’ve been successful in claiming Mob as his disciple. Oh well. We also find out that Minori’s father had somehow survived being impaled through the chest. That’s one hell of a healthcare system. Just put some duct tape over the wound, huh? And hope he didn’t bleed out while our hero was busy fighting Keiji in the mental world. To nobody’s surprise, Arataka didn’t claim the reward. After all, him actually being rich would completely upheave the show’s current format, so we have to maintain the status quo. As the result, the money goes to the Psycho Helmet Cult because both Minori and her father want to be grateful to Mob. Man, what’s going to result from that? 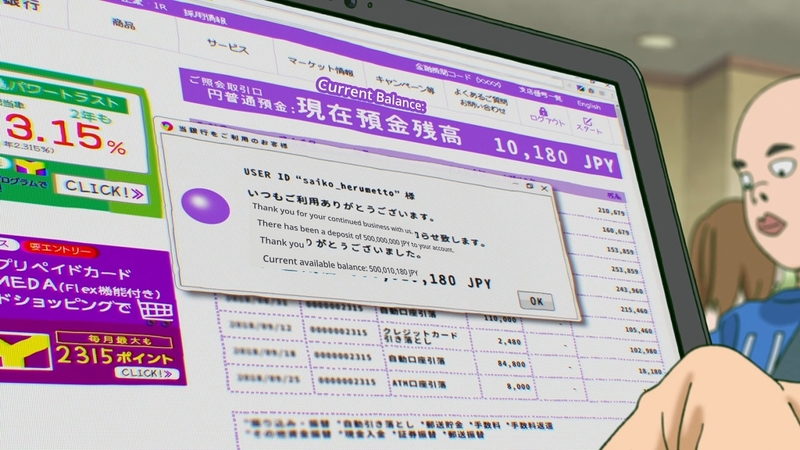 It’s not everyday when 500 million yen just drops into your lap. Hell, can you even make that sort of transfer without setting off all sorts of alarms? Ah well, let’s just pretend that the government in this universe wouldn’t care. In the end, Mob is still being used by Arataka, but maybe their partnership will soon undergo a much-needed tune-up. 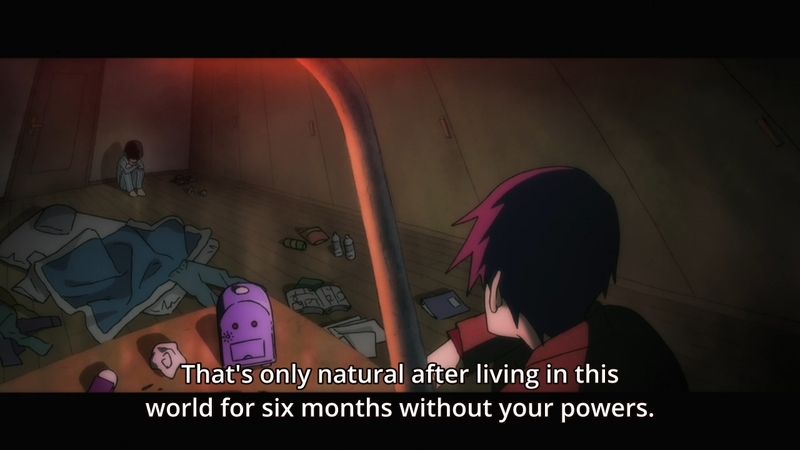 After all, it’d be silly to go through an entire arc about how people can change for the better only for this core relationship to remain completely inert. Hey Sean, decided to use my Twitter instead of my wordpress (mrdiagonality). 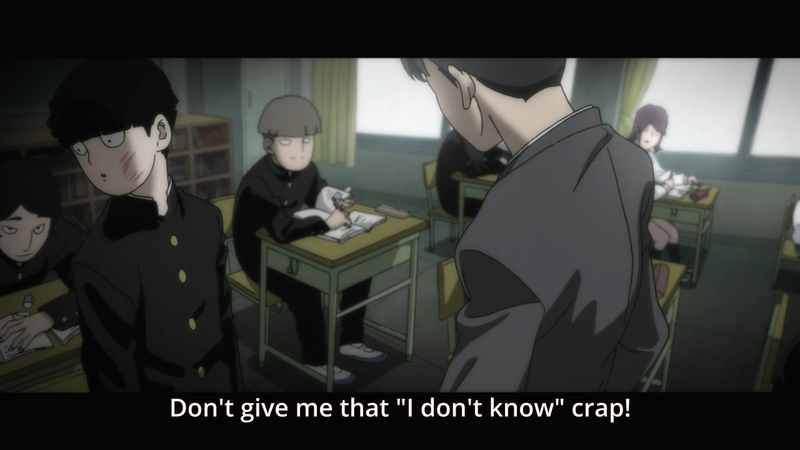 Great post and I also felt Mogami didn’t really understand Mob’s character. 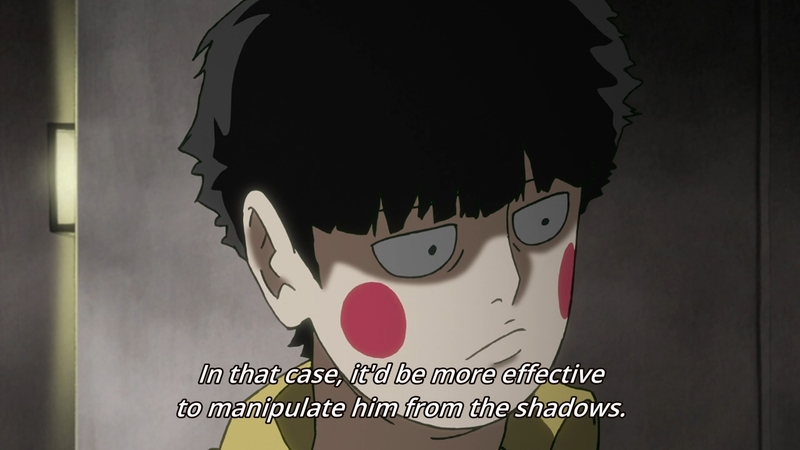 Did you find it weird Mogami didn’t try to stop Dimple from influencing Mob to regain his memories and snap out of it? 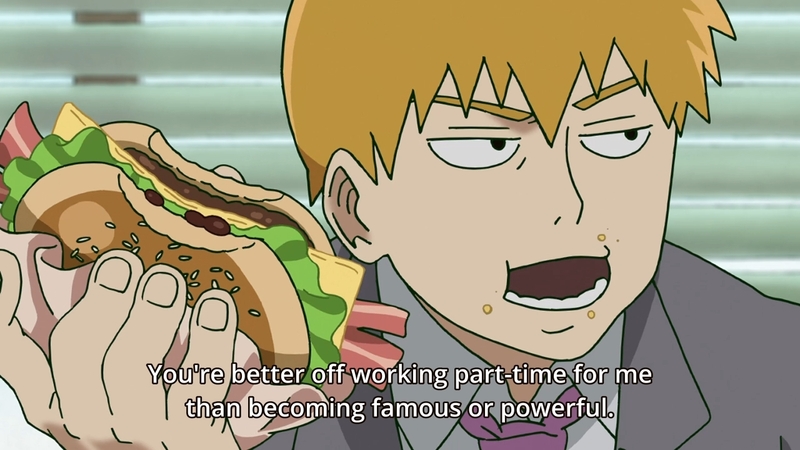 Dunno, maybe he didn’t notice Dimple (unlikely ’cause he should be watching Mob at all times), or he’s just so arrogant that he doesn’t think Dimple could affect anything. Judging from just what we see in the anime, this part felt kinda rushed. Wow. Barring unlikely circumstances, this just bagged ez Anime of the Year for the past two episodes alone. Maybe ‘Anime of the Past Several Years’. Haven’t felt this good about an arc since HxH’s Chimera Ants… and this Mogami arc only took up ~1/30th of the screen time. That said, both of those two arcs are at the top of my list *in spite* of sharing the exact same ‘narrator’ pitfall… hmm, and they both share themes of ‘change’, and of humans having the capacity for both good and evil… makes me wonder if one was maybe influenced by the other. Too early for me. All I know is that it looks like the best show this season, but isn’t saying much. This season kinda blows. Next PostNext Tate no Yuusha no Nariagari Ep. 5: Why own one girl when you can have two? !